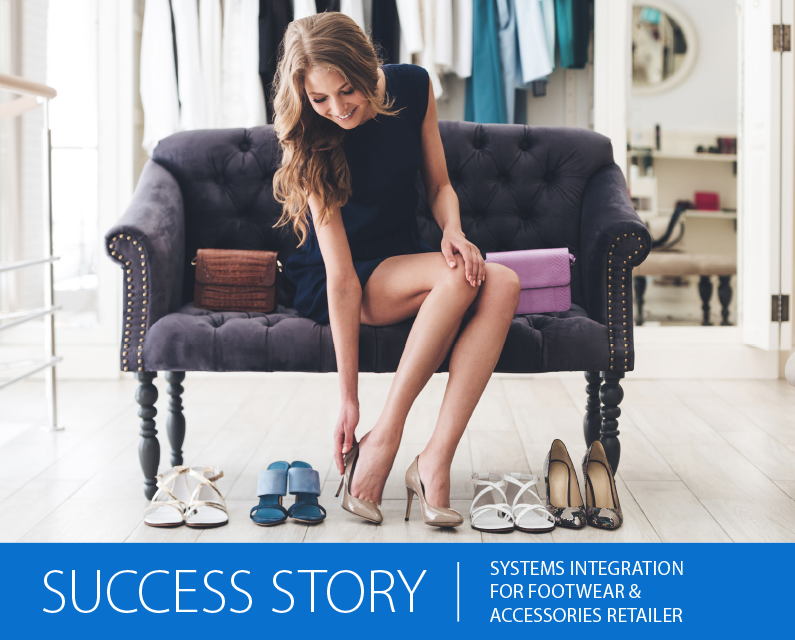 The retailer was migrating its stores in the US and Canada from an integrated POS to a semi-integrated solution. This would enable the chain to streamline and more effectively address PCI and EMV requirements. This process required the client to upgrade all point-of-sale software and add EMV compliant PIN pads to every location. 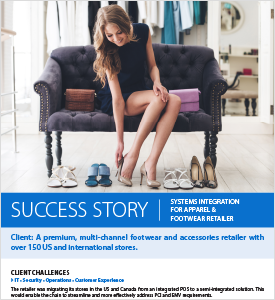 At the same time, the client was in the process of integrating a new store-to-store inventory management system in order to launch virtual merchandising and endless aisle to improve the customer experience. Impact 21 worked with the Operations, Accounting & Finance, Procurement, Design, Customer Service, Training and IT departments within the company. In addition, the company managed four external vendors to ensure technology deployments were performed according to plan with little to no interruption to daily store operations. Impact 21 managed those projects with the highest priority. This included upgrading POS software in all US and Canadian stores. All PIN pads were upgraded in the 17-week rollout. The company led the PMO to manage the entire upgrade process. Further, the Impact 21 team led the work stream efforts to identify and integrate business processes that would support merchandising initiatives and endless aisle. Impact 21 worked with the IT department, Aptos- the software provider, and Verifone- the PIN pad provider, and managed all the details of integrating EMV-capable PIN pads. This included managing the process for achieving EMV payment certification for the PIN pads along with the new payment certification software. Testing protocols for all software and hardware changes was an entire project in itself. The process included regression analysis around completion of third-party deliverables for software and hardware throughout the chain. Through each phase of the project, Impact 21 tracked progress of the deployment across the retail stores. As project lead, the Impact 21 team identified, tracked and communicated new risks and potential issues in work streams. All POS software was upgraded on time and on budget, including the testing protocols. The retailer now has all new EMV-certified PIN pads across the chain. The new solution successfully passed—the first time—all required testing necessary for deployment and EMV certification. This semi-integrated solution follows best-in-class practices and has led to measurable gains in customer satisfaction. Get the full PDF of this success story.